There are several great Z-wave motion sensors out there, some with just motion sensing capabilities and others with multiple sensors built into one. In this article, we’ll take a look at the top 5 choices you have for the best Zwave motion sensor for 2018. What is Z-wave and How Does Z-Wave Work? What Can I Use A Motion Sensor For? Take A Look At Our Top Picks – And Start Automating Your Home Today! Z-Wave is a specialized wireless radio frequency technology. In a way, it’s similar to your Wi-Fi connection, except it’s designed to allow different devices to “talk” with each other – without interfering with your home network signals. A z-wave network is a mesh network, which means the more z-wave devices you have the better the communications speed and signal will be. As mentioned above, you will need a Z-wave controller (aka hub) that brings all your devices together. Possibilities are endless and are only limited by your imagination. 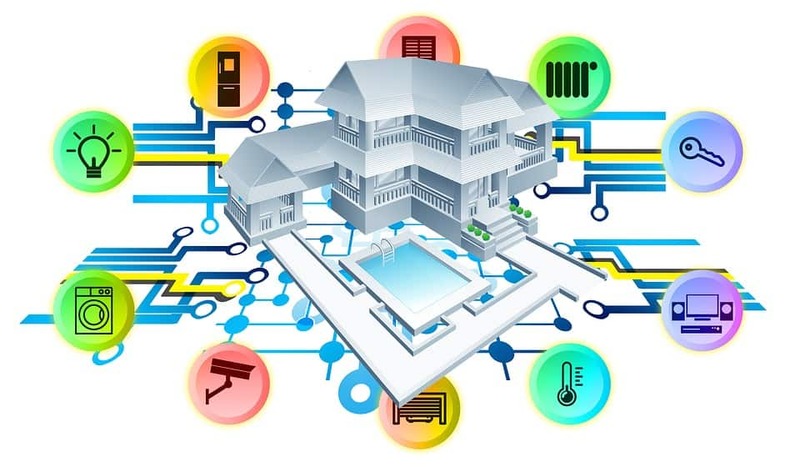 Z-wave motion sensors are key components to consider in your home automation setup. If you are planning to do smart home automation upgrades then here are some of the best z-wave motion sensors to consider. Ecolink is a trusted brand in the world of home automation. This alarm is priced reasonably and is the current Amazon top choice for motion detectors. One of the primary benefits of this Zwave motion sensor is that it’s designed to mitigate false alarms. For those of us with large pets, this is a great feature. No more home alarms going off when Rex decides to run past the front door! It’s discreet design and 5-year battery life, as well as flush and corner-mount brackets, make it very subtle. 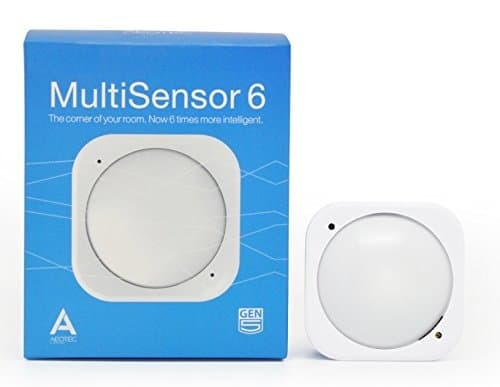 The Aeotec Multisensor 6 is built to be a top Z-wave Plus motion sensor for those who want a lot of data about their home – in a small package. This tiny sensor measures only about 1.8 inches, but packs quite a few features into the durable, robust body. This sensor can measure temperature, humidity, light level, vibration, motion, and UV light levels. It’s powered by either 2 CR123A batteries, and Aeotec says it can run for about 2 years. Alternatively, the unit can be connected to a USB power source for uninterrupted operation. This sensor is supported natively by most Z-Wave Plus controllers, such as Samsung SmartThings, Homeseer, Aeotech Z-Stick, and the Vera-3 home controller, so setup is quite easy. If you are looking for the best z-wave motion sensor that incorporates multifunctional data metrics, this device from Aeotec should be at the top of your list. If you’re just taking your first steps into the world of home automation, and don’t yet want to drill holes in your ceiling or walls, this Zwave motion sensor from GE is a good place to start. It’s built with an attractive design and can be placed on a shelf, counter, or other flat surfaces, as well as mounted to a wall or ceiling. By default, it runs on battery power, but can also use USB power, which is recommended in high-traffic areas. It’s also compatible with almost all of the best Z-wave controller hubs from Samsung, LG, Wink, USB Controllers, and more. This Zwave motion sensor from Monoprice is our top pick for bargain-hunters. For the price, it’s certainly a great value, and it’s the most cost-effective choice on our list. The unit can detect motion as well as temperature. 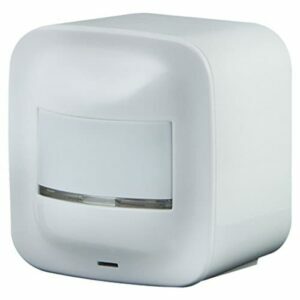 It has no logo, which makes it a good choice for any minimalist home automators out there! One unique feature is the tamper-proof switch. 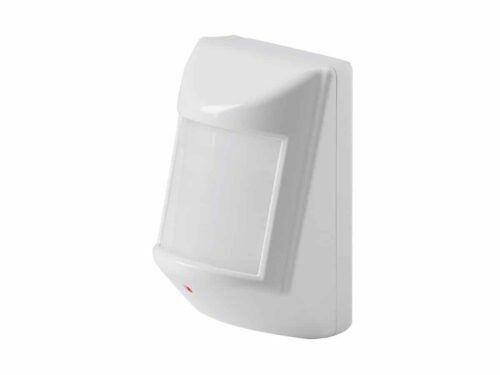 The Monoprice PIR Motion Detector will send a Z-Wave signal to the network if the cover is removed, allowing you to keep an eye on your systems, and ensure they are not tampered with. In terms of value, this one from Monoprice is the best motion sensor. For a few dollars more there is a Monoprice multisensor that includes motion, light, temperature and humidity. This might be a better value for some folks as it has multiple sensors in one. Most complaints about this sensor are the difficulty in pairing / connecting. However, I did not have any issues connecting them to my Z-wave network. This mid-range Z-Wave motion sensor is compatible with Wink, SmartThings, Nexia, Home Seer, Z-Wave USB Sticks and most other Z-Wave Plus hubs. It senses both motion and ambient light, making it perfect for use as a light automation motion detector. If you need your sensors to react quickly to motion, this is the best motion sensor for you. 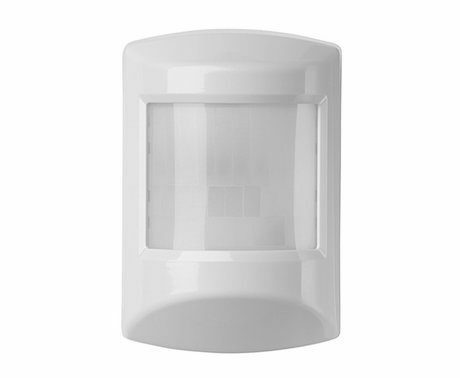 While most other motion sensors take 1-2 seconds to respond to motion, this Zwave motion sensor from Dome typically responds within 100-200 milliseconds. You can also configure just about every aspect of its performance. From time-until-off, to repeat sending of data, dead time after detection, and more. In terms of speed of reaction, this is the best z-wave motion sensor. If you home assistant, you will have to add the Z-wave config files for Dome products manually for the sensors to not appears as “unknown”. Two of the key features to look at in a motion sensor is the speed of reaction and range. In my opinion, multisensors from Aeotec, Monoprice, and Dome bring nice features and a great price. For home automation projects, motion sensors are a necessity and today Z-wave sensors are the most commonly used types for such purposes. Whether you’re a rookie home automator, or a seasoned veteran, this roundup of the best motion detectors is sure to be helpful. Take another look, browse our top picks, and make the choice that’s right for your needs. If you have others that worked great for you please share with us in the comments section. Eric Liston is a tech writer based in Ohio. He specializes in HTPC setup, cord-cutting, home automation, and more. If he's not writing, you'l probably find him running along the Olentangy Trail, or reading a pulpy sci-fi novel.